In the powder room of this home in the Woodlands (Houston), this dark brown faux alligator textured vinyl wallcovering probably looked good with the previous homeowner’s mirror and accessories, but it made the room cave-like, and was not at all in sync with the lifestyle of the new homeowners, a young family with pre-school age children. They chose this classic trellis design in cream on tan and, boy – did it brighten and open up the room! I usually love this brand, but today there was a bit of shading – color was darker on one side of the strip than it was on the other, which you can see in the second-to-last photo and in the head-on shot of the sink, and also some “gaps and overlaps” at the seams. Both of these issues were relatively minor and not very noticeable. This client lives in the Woodlands, so to save her a trip to Dorota at Southwestern Paint in central Houston (713) 520-6262), I picked up her wallpaper for her. 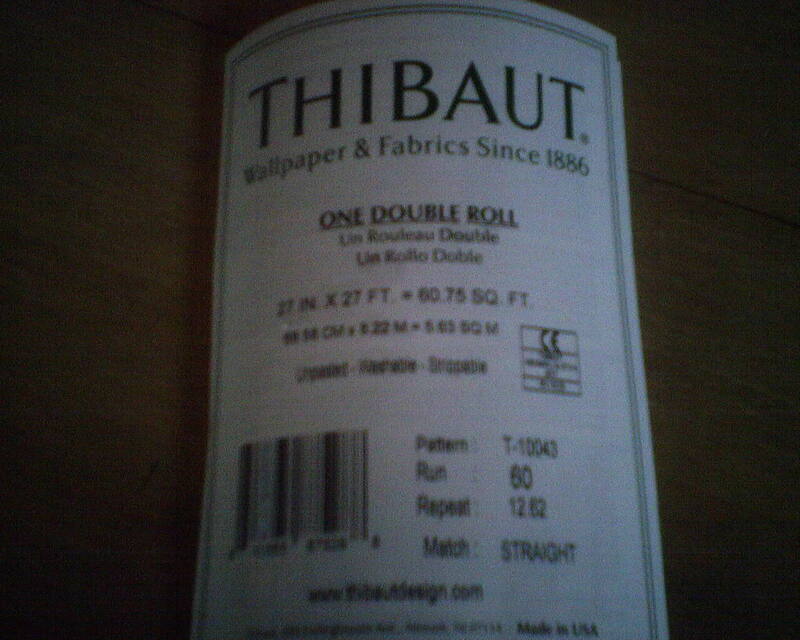 Ahhh, 12 single rolls of Thibaut, one of my favorite brands, ready for their trip to a powder room up north. The Kids Are Out Of College Now – Think It’s Time For New Wallpaper?! 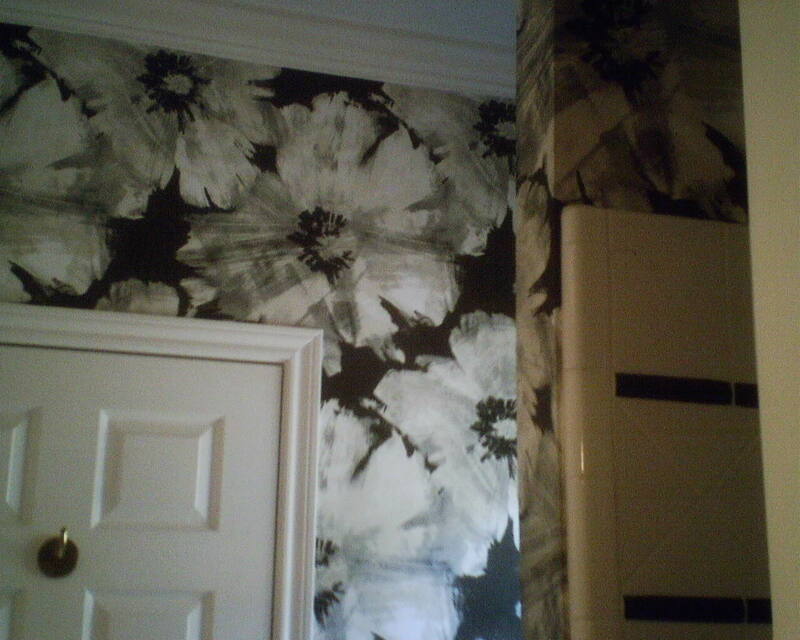 When I first saw this wallpaper pattern, I thought it was too wild and crazy for the room. But after it started covering the walls, I admitted that those two kids have a wonderful eye. The large scale, the two-tone color scheme, and the singular motif theme all work together with the room’s white tile, black trim accents on the tile, new black granite countertops, and choppy wall space. I hung this in a Jack & Jill bathroom in West University Place (Houston). 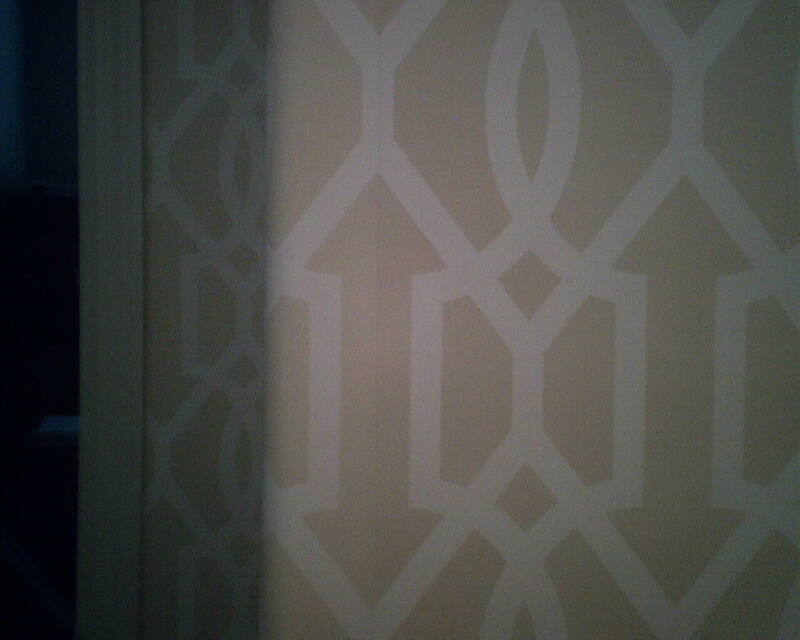 The wallpaper pattern is by Designer Wallpaper, pattern #AV 50000, and was lovely to work with. It was bought at below retail price from Dorota Hartwig at Southwestern Paint on Bissonnet near Kirby. (713) 520-6262 or dorotasouthwestern@hotmail.com. She is great at helping you find just the perfect paper! Discuss your project and make an appointment before heading over to see her. The homeowner was nice enough to have both the pedestal sink and toilet pulled out of the powder room. This made it so much easier and faster for me to get wallpaper back there. Plus she got a neater look under the sink, and no cut edge along the top of the sink (which could absorb splashed water and curl). 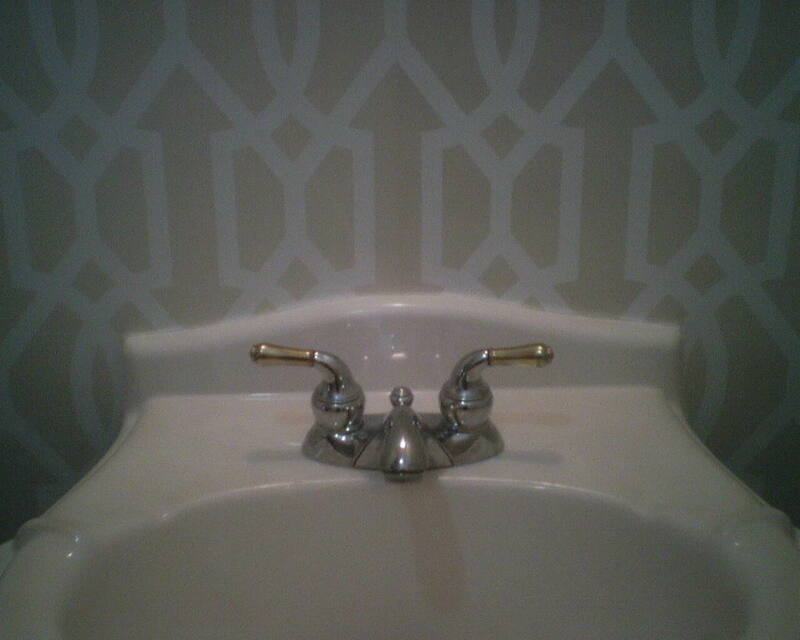 Oh Joy – The Pedestal Sink is OUT of the Room! This homeowner had the pedestal sink (as well as the toilet) taken out of the room before I started work. This makes it a WHOLE LOT easier for me to get the paper behind these fixtures, and it means that there will be an intact sheet of paper against the wall, without relief cuts or an open edge along the top of the sink (which could absorb splashed water and curl up). 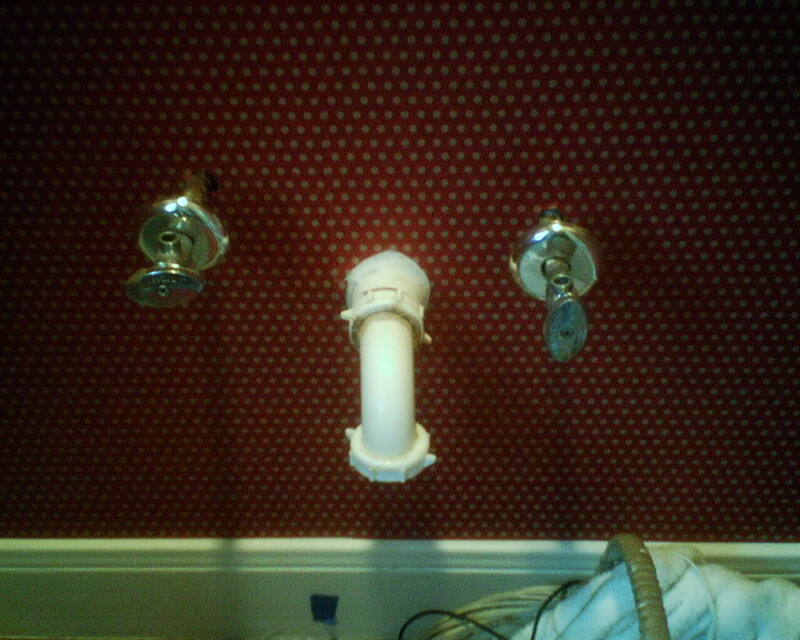 Also, as you can see, removing the sink can tear up the wall, including any wallpaper, so if you’re going to replace the sink or vanity, as this homeowner is, it’s always best to pull it out before the wallpaper goes up. 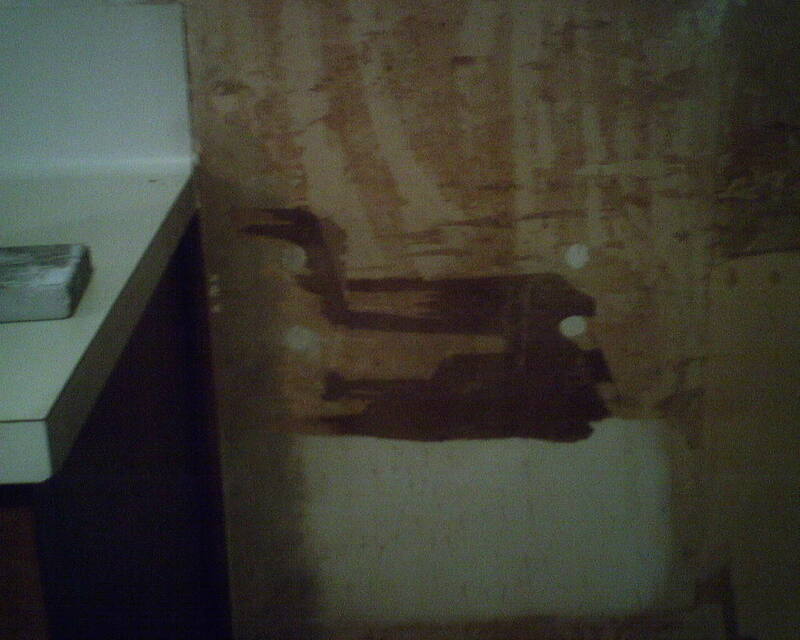 The dark brown areas in the photo are where the removal of the sink tore the drywall. This damage should be repaired before paint or wallpaper goes back up. I stripped off the surrounding wallpaper, then sealed the torn drywall with Gardz, a penetrating sealer made for this type of repair. It soaks in, binds loose edges together, and dries hard and impenetrable to water. This prevents bubbling when something like joint compound, paint, or wallpaper paste are applied over it. Then I skim-floated the area with “mud” (joint compound), let dry, sanded it smooth, wiped off dust with a damp sponge, and sealed it a second time with Gardz. 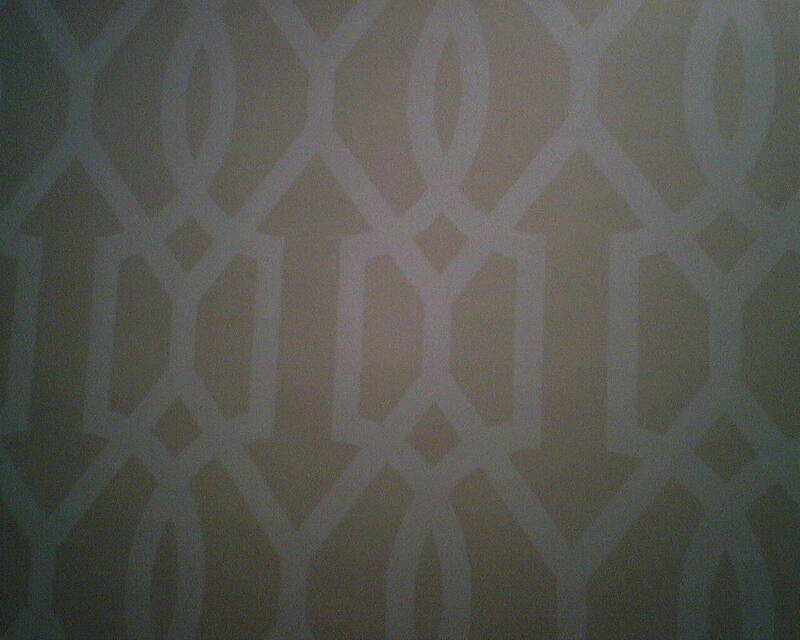 Gardz is also a good primer for use under wallpaper, so I primed the entire room with this same product. I was called to do some repairs today, where the wallpaper I had put up two or three years ago was coming loose at the seams. There was one seam a few feet away from the corner involved, and then also the edge of the wallpaper that fell in that corner. I reglued the loose seam, and then moved to the corner strip. Before fixing something, I like to understand what went wrong to cause the problem. If you know the underlying cause, you have a better chance of fixing it, and you also have the knowledge to prevent it from happening in the future. But I could not figure out why this paper was not sticking to the wall. 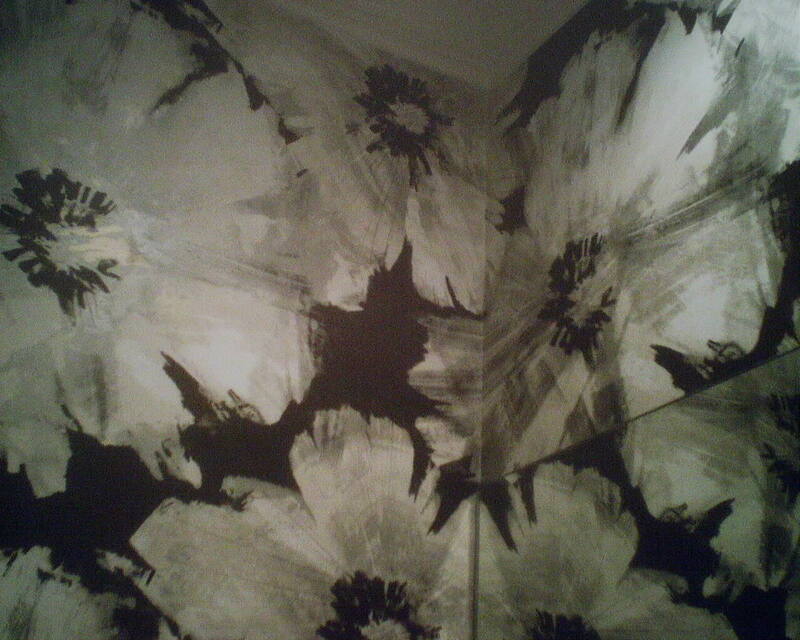 After a little investigating, I discovered … that there was a layer of black powdery mold behind the wallpaper. After more investigating (which involved pulling the entire strip off the wall), we discovered that there was some kind of water leak, probably from the roof or the exterior wall, that was allowing moisture into the wall. Moisture is going to cause mold / mildew, but with the vinyl wallpaper on top of the wall, which won’t allow air to pass through, the situation is exasperated. Needless to say, I ceased with the regluing. 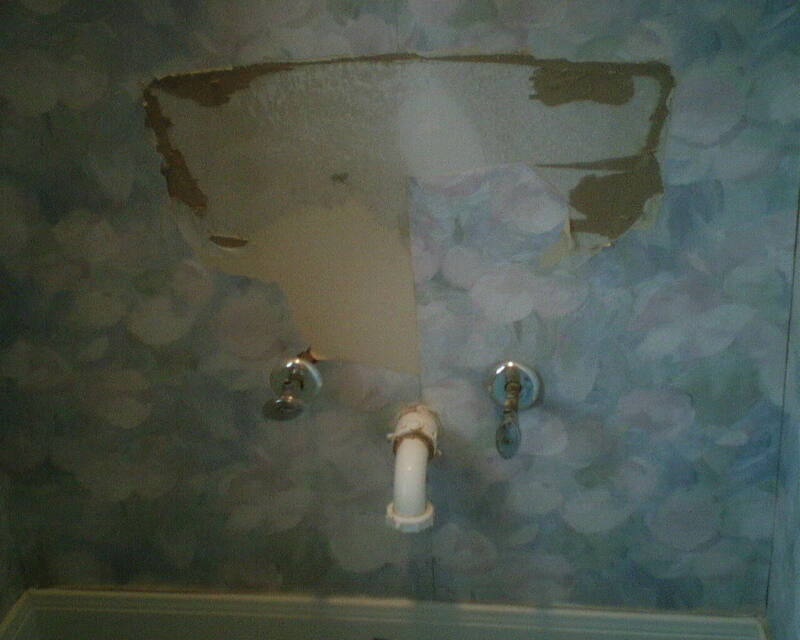 And needless to say, the poor homeowners have a larger situation on their hands, to find the source of the leak and get it sealed up, and the wall repaired. Today I stripped wallpaper off a kitchen where the previous installer had not bothered to prime the walls first, but hung his paper right on top of new Sheetrock. This is very bad for many reasons. 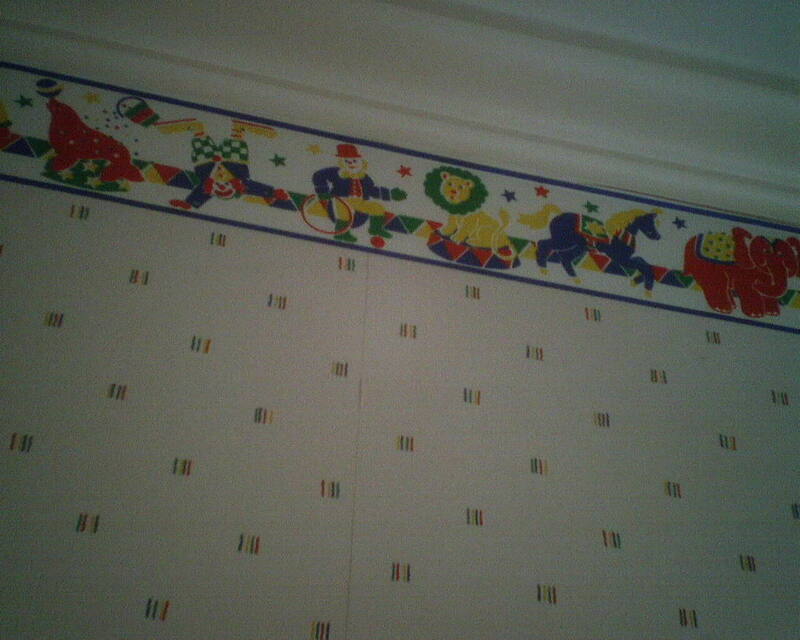 ` The walls will not have stick, so the new wallpaper will not have a proper surface to cling to – and this can cause curling seams, loose areas, and other problems. 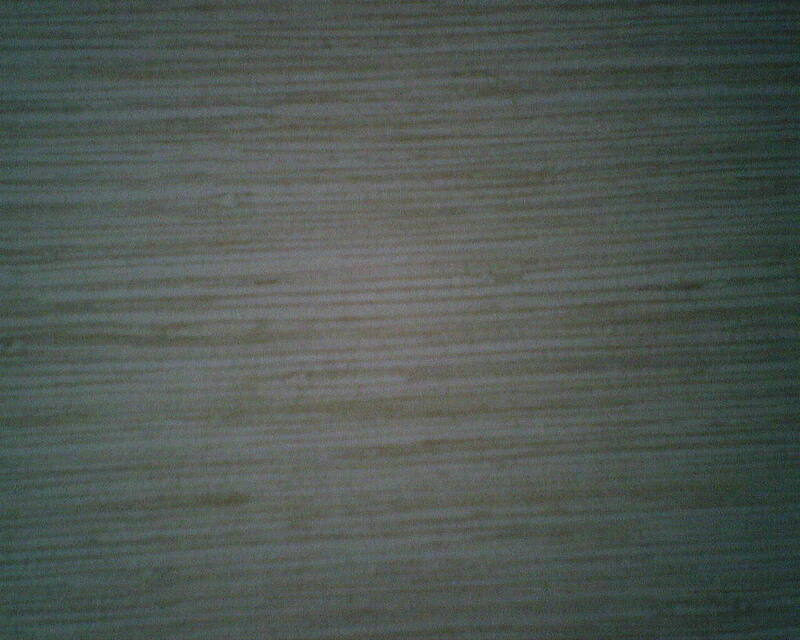 ` The walls will not have slip, which will make it much harder to install the new paper. ` With nothing separating the new wallpaper from the drywall, the paper will bond to the drywall, making it darned near impossible to get it off later. This is what happened today. 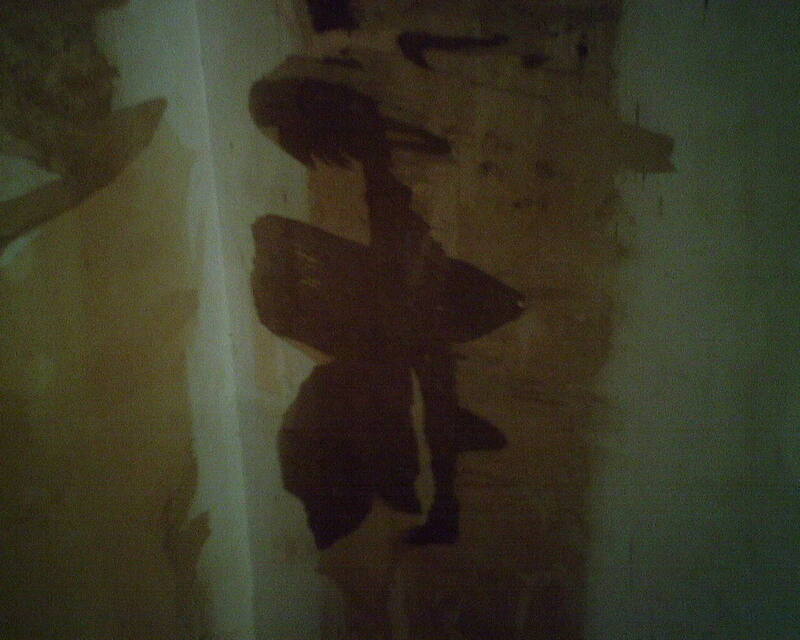 After I removed the top inked layer, and after I soaked the remaining paper backing for a while, the old wallpaper came away from the sections of the wall that were coated with joint compound or paint or wood stain. But in areas of the wall that were just uncovered Sheetrock, the wallpaper grabbed tightly and could not be pulled off or scraped off. In stripping the wallpaper off these areas, some of the drywall came away, too, leaving areas that were torn and damaged. These uneven, torn areas are problematic, because they leave bumps and ridges showing under the new wallpaper, and because, since they have no protective coating, they absorb moisture – from water, wallpaper paste, wallpaper primer, or other, and then they expand and then they bubble. Ridges and bubbles look like Hell under wallpaper. 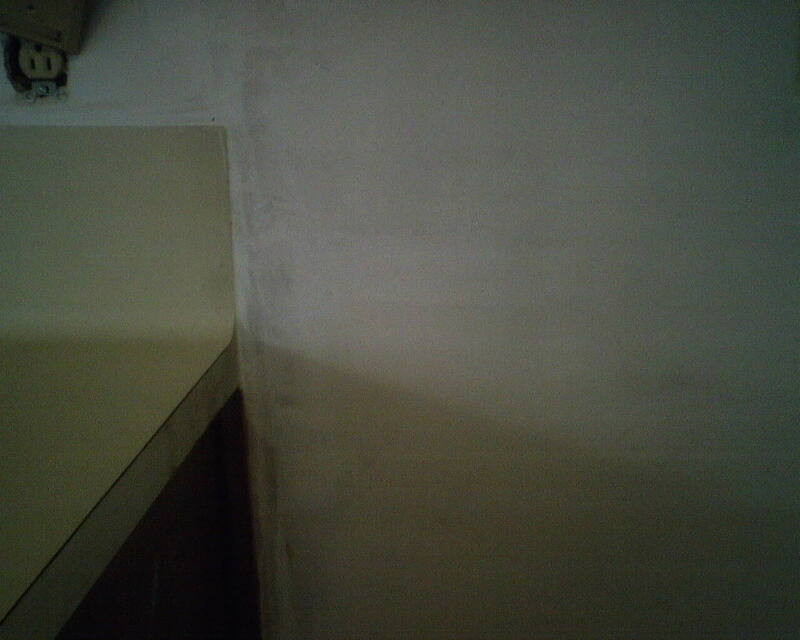 The first photo is a wall to the right of the kitchen counter, where differing layers of drywall have been pulled off the wall. The dark brown area is the deepest. 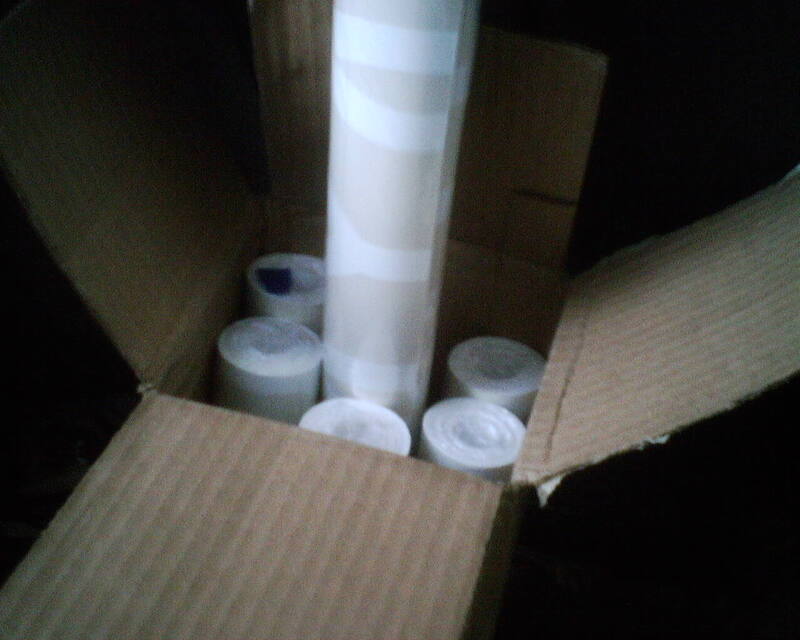 The third photo is a newish product that is wonderful for sealing and “repairing” torn drywall. 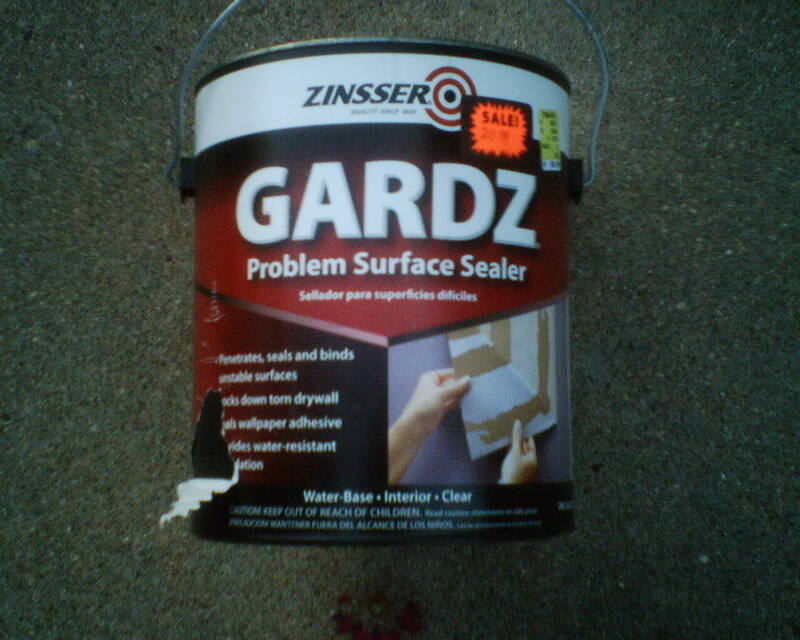 Gardz (by Zinsser) is a penetrating primer / sealer that soaks into the surface, binding things together. It dries quickly. When it is dry, it is impervious to moisture – which means that you can apply a water-borne primer over it, or you can skim-float it with joint compound, and not worry about bubbles appearing. I applied Gardz to these areas of torn Sheetrock, let it dry, then skim-floated over it with joint compound, and then sanded it all smooth. Then I applied a second coat of Gardz. In addition to making the surface very stable, Gardz serves as a good primer for wallpaper, because it’s molecular structure on its dry surface is such that the molecules of paste, attached to the new wallpaper, will grab on and hold tight. 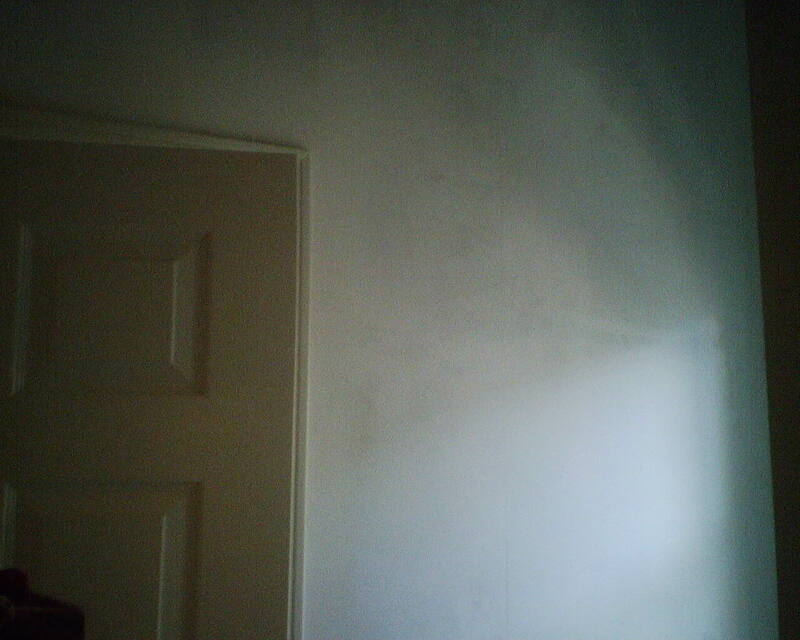 In this case, because I like a white pigmented primer, and because I like hanging on it, I went over the walls with a coat of Roman’s Ultra Prime Pro 977, a primer made specifically for wallpaper. The last photo shows the wall after all that work. 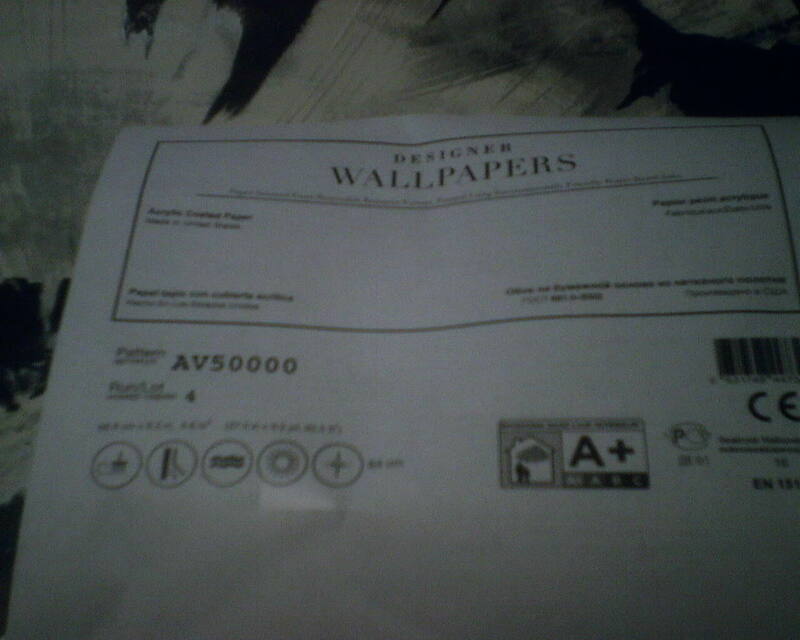 Finally ready for wallpaper! I’ll bet that no one under 30 knows what this is. 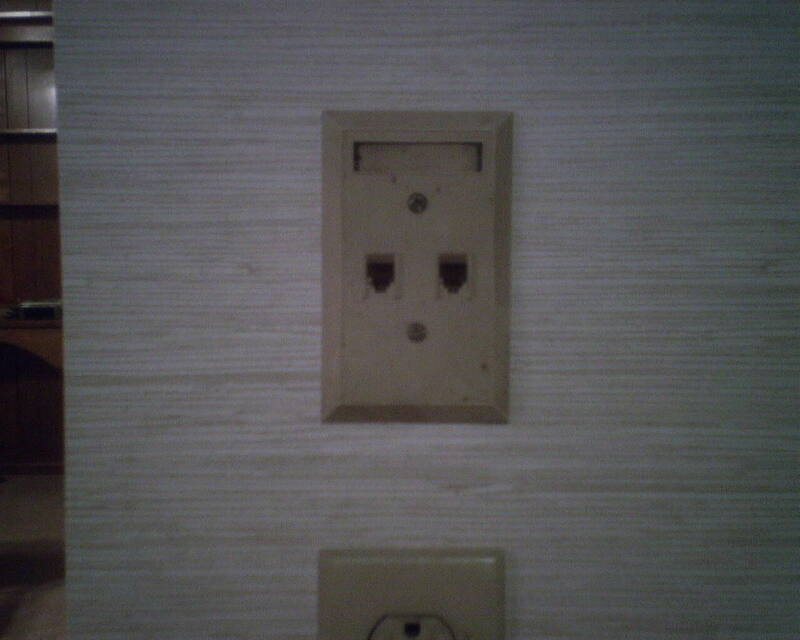 It’s a phone jack for a land-line telephone. As you might guess, it’s in a home that was built in the ’70’s. These days, when I’m about to wallpaper a wall and I come across a jack for a land line, I ask the homeowner if she will be using it. 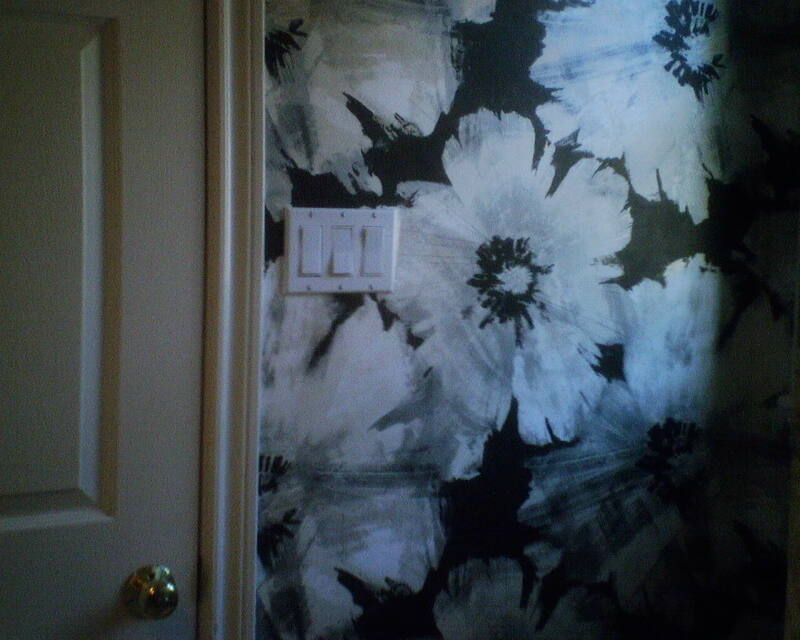 Since so many people are eliminating land-lines in favor of cell phones, many people don’t want the jack or it’s wall plate messing up their new wallpaper. In that case, it’s easy enough for me to undo the wires, remove the jack, and just let the wallpaper cover the small rectangular hole left in the wall. The wallpaper hides the hole nicely, and it’s usually not very noticeable. That way, if the homeowners ever want to access the wires or reinstall the jack, they can easily cut the wallpaper and open up the box. 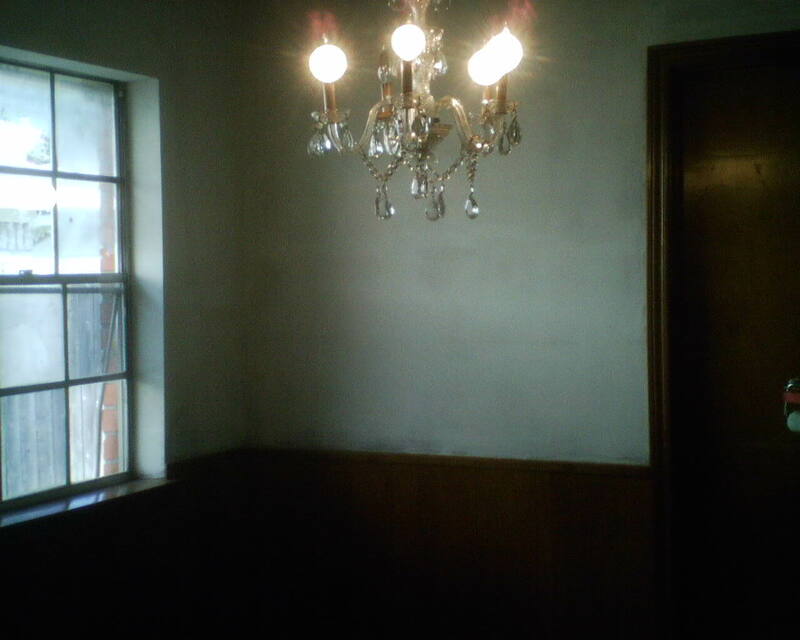 The first photo shows the breakfast area stripped of three previous layers of wallpaper, primed, and ready for its new look. 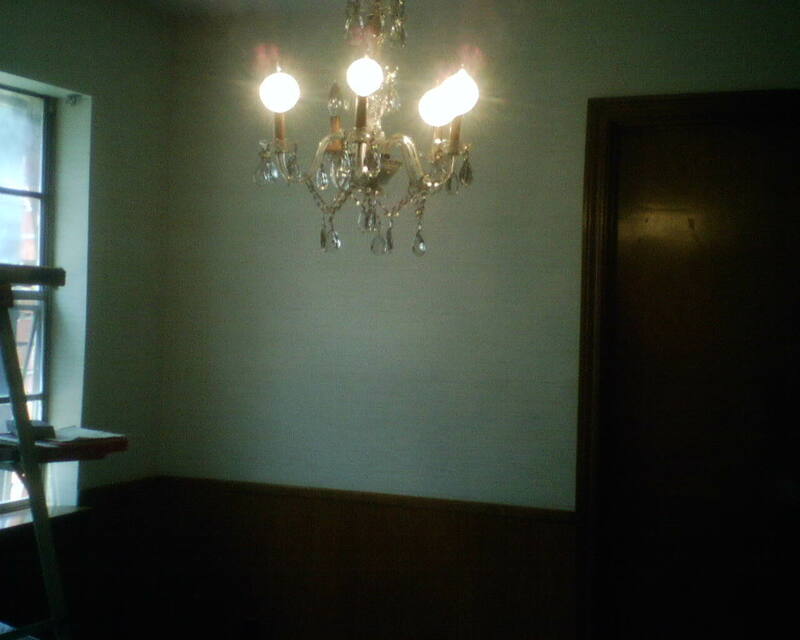 The second photo shows the same corner with the new wallpaper up on the walls. It’s a subtle, quiet, restful look, with a bit of rustic tossed in. 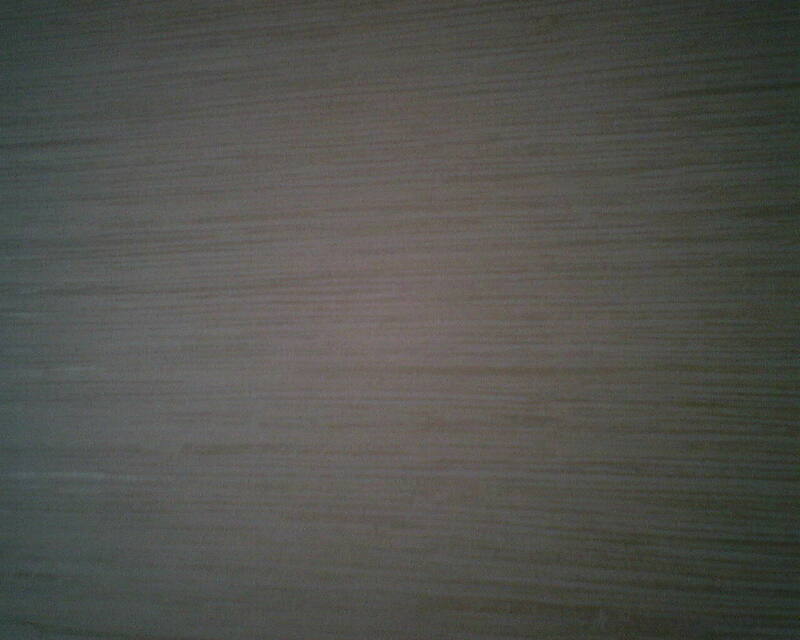 The “rustic” comes from the grasscloth-look to this wallpaper. But it’s paper, not real grass, and it’s not the new three-dimensional stringcloth that I have been loving lately. That stringcloth faux grass product was too pricy for this homeowner’s remodel budget. So she chose this instead. This is a wonderful alternative to real grass products. 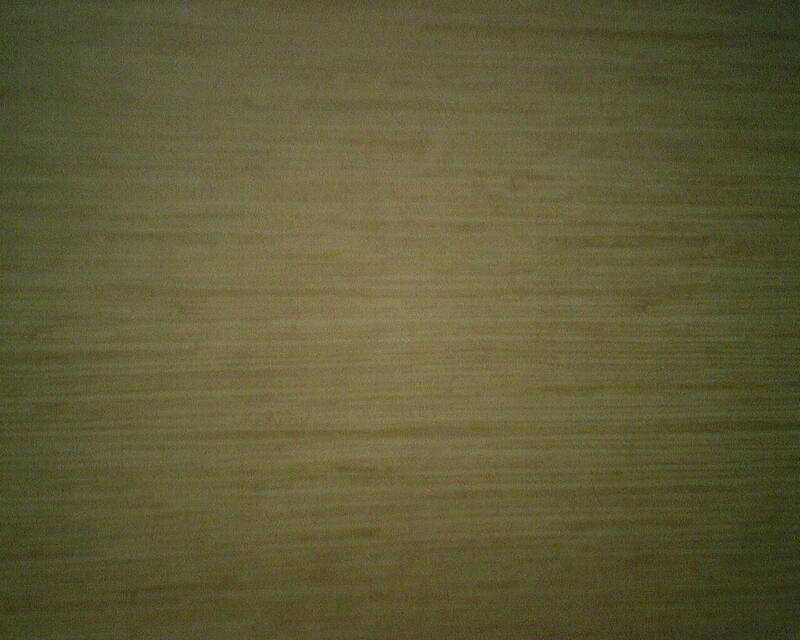 It is uniform in color so you don’t have the horrible shading and paneling and color variations that are inherent with real grasscloth. 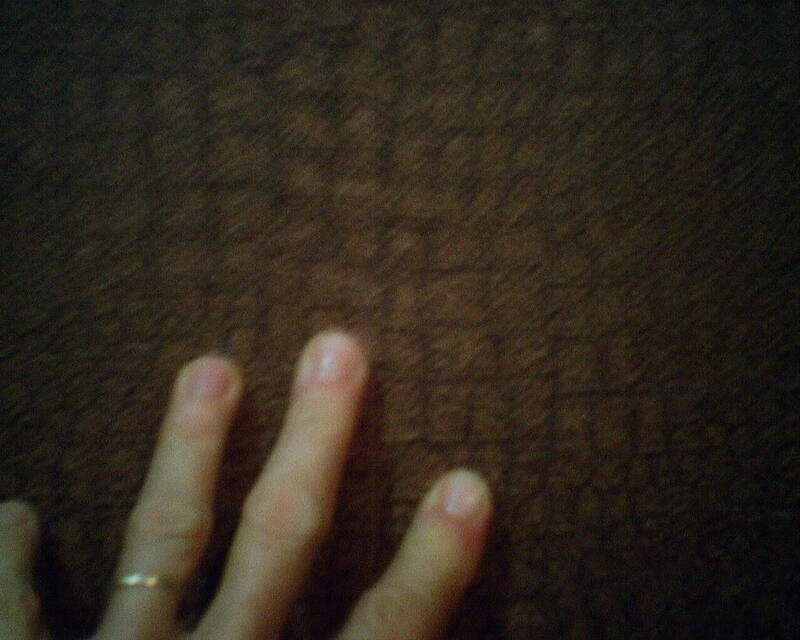 Even better, it has pattern that can be matched, so you can’t see the seams. 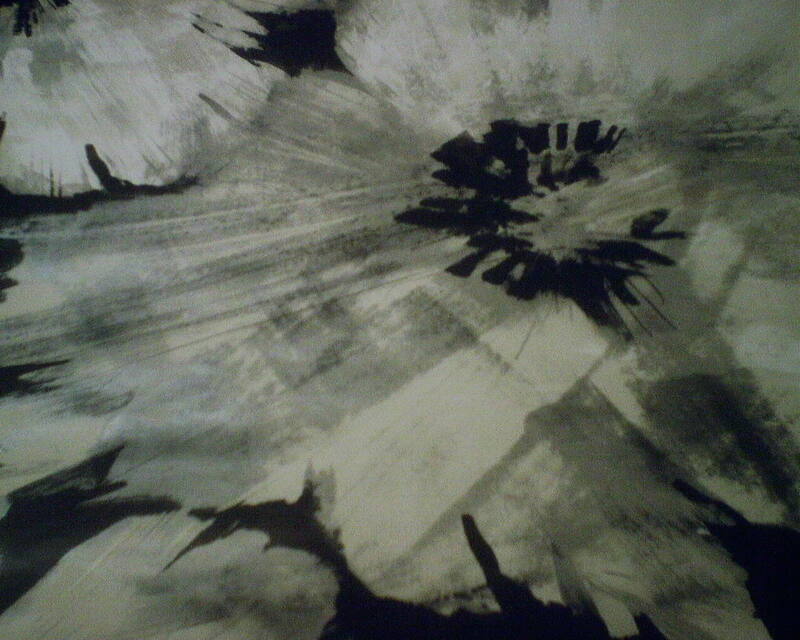 It does have a bit of texture from its “raised ink” printed surface, which is pleasing, but very minimal. 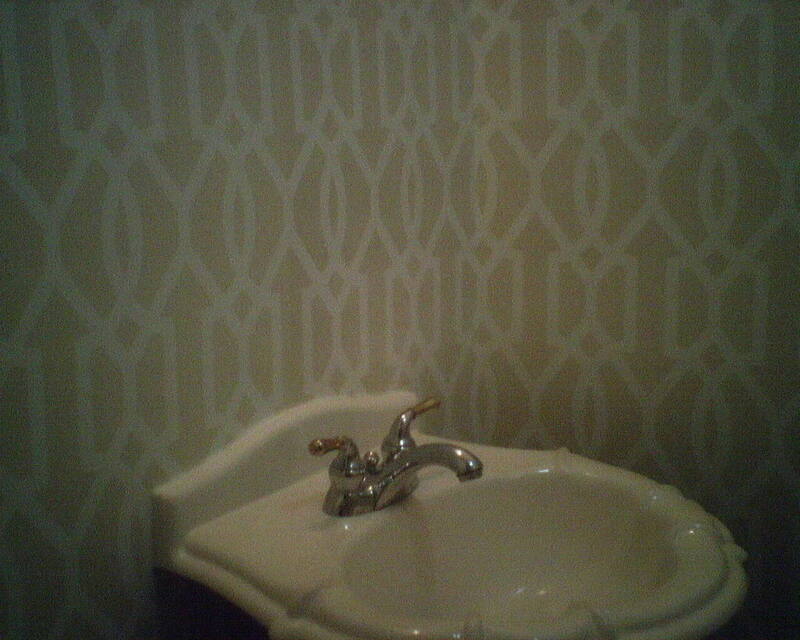 This wallpaper pattern is by York, in their Sure Strip line (I love the stuff! 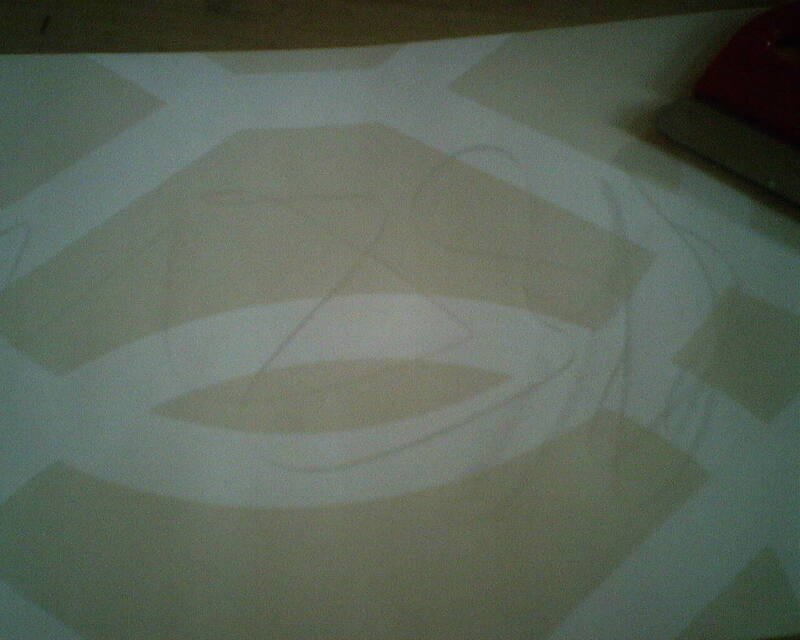 ), and is a non-woven material that is meant to easily strip off the wall years later when it’s time to redecorate. It’s thin and hugs the wall nicely, and dries nice and flat and tight against the wall. The paper was bought at below retail price from Dorota Hartwig at Southwestern Paint on Bissonnet near Kirby. (713) 520-6262 or dorotasouthwestern@hotmail.com. She is great at helping you find just the perfect paper! Discuss your project and make an appointment before heading over to see her. You are currently browsing the Wallpaperlady's Blog blog archives for July, 2017.